Newspaper reporter Jacob Harker (Rob Boltin) loses his job, forcing he and his wife, Haley (Gwendolyn Edwards), to move into a small rental house owned by Webster Cain (Michael Monks). In the process of moving in, Jacob discovers a discarded audio recording of 60's blues singer Carol James (Hannah Hughes). Captivated by the voice on the recording, Jacob conducts an investigation into Carol James' life and death. Through his pursuit, Jacob becomes haunted by an evil spirit. 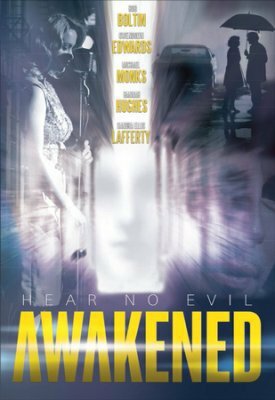 While the spirit seductively persuades Jacob, drawing him deeper and deeper into its own malicious plot, the spirit attacks and terrorizes Haley, creating both fear and distrust in the Harker's home. Haley sees her husband turning into someone less recognizable each day. When Jake and Haley move into a rental after he loses his job they appear to be a normal couple who definitely love and respect each other. When Jake finds an old audio reel containing a beautiful voice singing he feels emotional and wonders who this voice belongs to. He plays the reel for the man he is renting from and finds out that the voice is that of a Blue's singer from the 60's, Carol James who has since died. So taken by her voice Jacob decides to investigate what happened to her. Jacob's obsession with Carol is changing who he is and if that isn't enough he is being haunted. Who is haunting him? Is it Carol. Haley has her own issues only she is being attacked by something she can't see. The movie is definitely different from any other Christian movie I have seen but it wasn't terrible. I will never understand why couples keep so much from each other in movies like this. I think if they just shared what is happening things would be fine! There is scripture quoted but that is as Christian as it gets. It was an interesting movie!